Citing a person familiar with the matter, the newspaper said it was unclear which investors were participating in the new round of financing for the short-messaging service. In December, Twitter received an injection of $200 million in funding from investors to help fuel its growth, reportedly giving the San Francisco-based company a valuation of $3.7 billion. That round of financing was led by Kleiner Perkins Caufield & Byers. 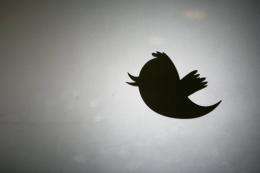 Twitter has fended off several buyers and has repeatedly said it is not considering going public. Founded in 2006, the company announced last week that Twitter users are sending 200 million tweets a day, up from 65 million a year ago.